The Swiss pride themselves on their neutrality in any fight. They prefer to sit on the sidelines holding the bags (or stashing large hordes of looted Nazi gold) rather than get involved. They might need to take sides in a nasty dispute between one of their own, a Zurich shop assistant and America's all-powerful chat-show host Oprah Winfrey. Winfrey is claiming that the shop assistant (oh, wait, it turns out she is Italian, but working in Zurich) declined to show her a $40,000 crocodile handbag because she was black, implying she couldn't afford it. After Winfrey mentioned the incident on Entertainment Tonight, the shop assistant hit back. "She is so powerful, and I am just a shop girl," she said. "I didn't hurt anyone. I don't know why someone as great as her must cannibalize me on TV." That's an unfortunate choice of verb from somebody denying racism, but perhaps something was lost in translation. The assistant explains it was all a misunderstanding. "She looked at a frame behind me. Far above there was the 35,000 Swiss franc crocodile leather bag. I simply told her it was like the one I held in my hand, only much more expensive, and that I could show her similar bags." Sounds to us more like the typical British shop assistant attitude of "I cannot be bovvered getting it down; it's just the same as this one really" than racism. The incident does raise a few questions however. What kind of idiot pays $40,000 for a handbag (Oprah wanted to be that idiot)? And is it not a little unkind to hunt and skin a crocodile so that said idiots can pay $40,000 for them? 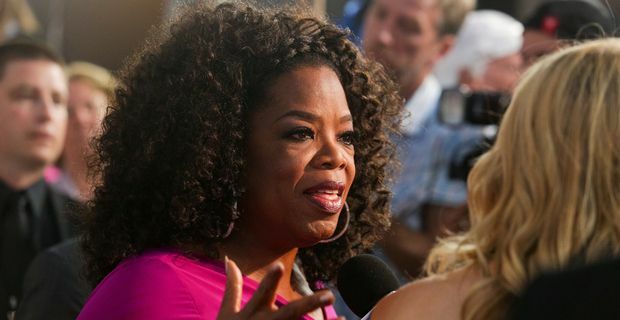 Oprah, possibly race is not the (only) issue here. Celebrity idiocy and inflated sense of entitlement should be worth a twenty minute discussion on your show.